TV show dates: March 19, 2019 — present. Performers include: Warren Christie, Michaela McManus, Lorraine Toussaint, Frankie Faison, Jerod Haynes, Dominic Chianese, Darren Kagasoff, Grace Van Dien, and Moran Atias. An American drama, from creator Mike Daniels, The Village TV show centers on the residents of a Brooklyn apartment building. While it looks the same as countless others from the outside, what goes on inside is rare, to say the least. Over time, the residents of the Village have forged a powerful bond. They are more than neighbors — they’re friends and a family of choice. The “Villagers” include Sarah Campbell (McManus) a nurse and single mother of a teenager; Gabe Napolitano (Kagasoff), a young law student; Ana Behzadi (Atias), a mother who fears the reach of ICE will touch her US-born son; military veteran Nick Porter (Christie); and Ron and Patricia Davis (Faison and Toussaint), who anchor the whole gang. Everyone at the Village has a story to tell, be it about their hopes and dreams, or the challenges they’re facing. Together, they’re a family and family means everything — even when you are not related. What do you think? Do you like The Village TV series? 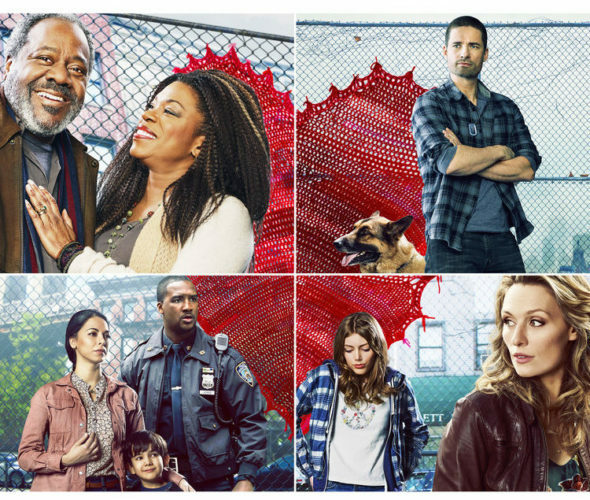 Should this NBC TV show be cancelled or renewed for another season? I love The Village, the storyline, acting etc. hope it stays on tv for years. I really like this show, a lot of plot lines going on at once but not complicated to follow, I hope it is not canceled. I started to watch it, but turned it off after 10 minutes. I think it would have been better if it didn’t air after This is Us. That episode was too intense to have to sit through another drama.